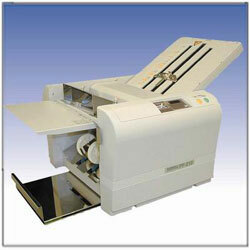 Efficiently and reliably folding up to A3 size paper. Simple operation, enabling operators to manually and quickly adjust the PF210 for a wide variety of fNEW options. Virtually Maintenance Free ��"� All folding Machines periodically need their FNEW Rollers cleaned. The PF210 has easy removable fNEW rollers to make cleaning an easy operator task. Without this user friendly feature- you would be faced with calling out an engineer or, as with some of our competitors- packing the machine up for a return to base repair- either way you would be out of action for some time and incur additional costs.